The success story of Finland’s number one industrial trade fair event has already continued for 30 years, as the Subcontracting Trade Fair was first held in Tampere in 1988. The trade fair is popular first and foremost because of our cooperation partners, exhibitors and customers. The Finnish Piiroinen company provides high-quality surface finishing in a cost efficient manner and with short delivery times near customers. Our metal works facility handles the metal works for our own design furniture, auditoriums and spectator stands, but we are also a significant contract manufacturer of metal components. Our strength is the seamless cooperation between the metal works and the surface finishing facility which enables us to deliver high-quality metal components and larger entities with surface finishing according to the customer’s requirements. Our woodwork department’s diverse range of equipment enables several form pressing methods, in addition to which we offer the furniture industry upholstering, assembling and installation services. Bodycote Lämpökäsittely Oy offers an extensive range of heat treatment services from our facilities in Finland and around the world. With over 70 years of experience in Finland and unmatched capacity and computerized systems, Bodycote facilities can process a wide range of component sizes to exacting standards with reliable, repeatable results. Fiskars Brands Finland Oy Ab’s forge in Billnäs produces Fiskars axes and high-quality forged products for external customers. The Billnäs forge has a long history, and subcontracting still forms a major share of the forge’s production. The forge uses four screw presses to manufacture high-quality forged products for demanding customers. Joensuu Science Park develops the business life in the Joensuu area and in North Karelia by providing high-quality facility services and business development services supporting the growth of companies. In addition, Joensuu Science Park acts as a bridge-builder between various parties. These parties include growth companies, research and training organisations and other domestic and international stakeholders investing in competence. In this role, Joensuu Science Park has coordinated and implemented the joint stand of North Karelia at the Subcontracting Trade Fair. 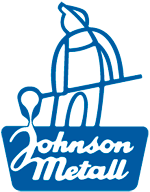 Johnson Metall provides a collection of services that is unique in Finland and extends from copper alloy casting to the machining of finished components. We specialise in bearings, where we are the market leader as the manufacturer and importer. We provide high-quality bronze billets for machining and bearings suitable for various purposes, with fast deliveries directly from our stock. Technical rubber, plastic, PTFE and thermoplastic elastomer products for industrial use, for example, special products made of silicone rubber, and assembling services and component manufacturing related to rubber. Okartek Oy is a well-known manufacturer of high-quality technical plastic products. During its nearly 30-year history, Okartek from Kaarina, Finland, has established itself as an all-round expert in injection moulding and thermoforming techniques. The company’s long experience in this field along with its modern machinery have brought Okartek contract manufacturing customers that are the state-of-the-art companies from various industries. Purso Oy is a successful company with good financial standing and a positive vision of the future. The company has over 50 years of experience in the aluminium industry. Each year, over 17,000 tonnes of customised aluminium profiles are manufactured and further processed by Purso. The customers comprise various industries and wholesale businesses. Purso has approximately 240 employees, with exports amounting to approximately 35% of the company’s revenue. Reka Kumi manufactures high-quality rubber products for manufacturers of heavy vehicles and special vehicles and for shipbuilding and machinery manufacture. Its production facilities are located in Aura, Finland and in Dopiewo, Poland. The production facility in Aura specialises in technically demanding products that are manufactured for local markets. The customers of Reka Kumi include the leading OEMs in the fields of heavy vehicle and special vehicle manufacturing and in shipbuilding and machinery manufacture. The company has over 100 customers, with Reka Kumi Oy delivering its products to more than 500 facilities in over 30 countries. The products of Reka Kumi Oy are divided into four main categories: moulded products, rubber to metal products, large profiles and formed hoses. The techniques applied to manufacturing include injection moulding, compression moulding, extrusion and manual work. Sacotec Components is the leading precision steel casting company in Finland. We operate as a partner for metal industry companies in the fields of product and process development and production. The design and manufacture of strategically important components are part of our value chain. Our objective is to provide value to our customers and the customers of our customers. Tasowheel Group Oy, a Finnish-owned company that was established in 1979, is a technology group specialising in precision mechanics and power and motion transmission. It focuses on international markets in Europe, America, Southeast Asia and Russia. The subsidiaries of Tasowheel Group include the following: Tasowheel Gears Oy, Tasowheel Systems Oy, Tasowheel Tikka Oy and Etelko Oy.